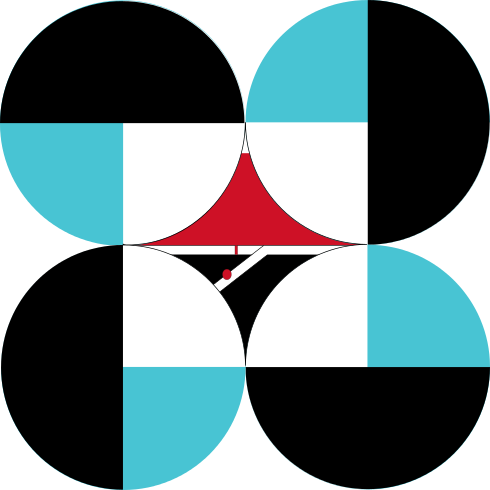 One of the activities of the DATOS Project is the production of maps using existing DOST technologies and data (among other sources) to be used as reference during disasters. These maps are examples of visualization tools that will allow LGUs, policy makers, and other stakeholders to have an idea of the hazards and actual impacts of severe weather events. These tools can aid them in making science-based decisions and as springboard for further research opportunities. 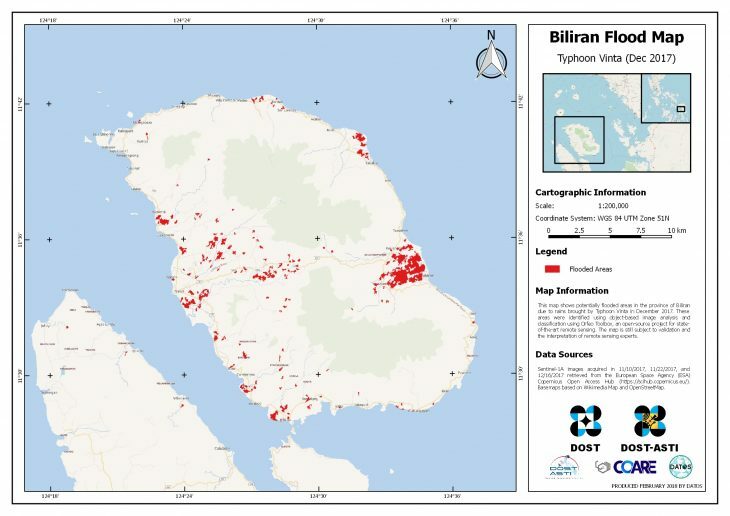 The map above shows potentially flooded areas in the province of Biliran due to rains brought by Typhoon Vinta in December 2017. These areas were identified using object-based image analysis and classsification using Orfeo Toolbox, an open-source project for state-of-the-art remote sensing. The map is still subject to validation and interpretation of remote sensing experts. This output is part of an ongoing research project under the Department of Science and Technology-Advanced Science and Technology Institute. 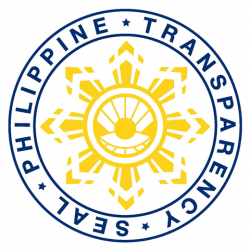 The information produced by the project is intended to complement and supplement the current government DRRM efforts. For official alerts and recommended courses of action, kindly refer to your local government units or the mandated government agencies concerned.